TODAY, MY PREGNANCY HORMONES WERE SO BAD, I BROKE DOWN CRYIN - ProudMummy.com the Web's Community for Mums. 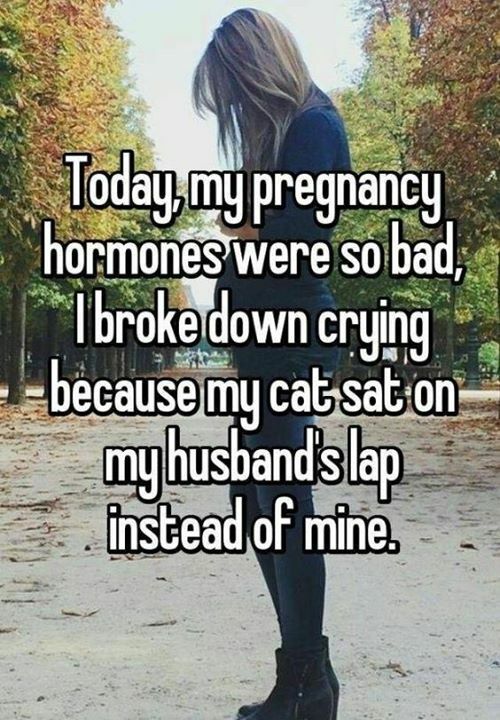 TODAY, MY PREGNANCY HORMONES WERE SO BAD, I BROKE DOWN CRYING BECAUSE MY CAT SAT ON MY HUSBAND'S LAP INSTEAD OF MINE. Joe Evans... It's been one of those days here too!